Although not as popular as the much more famous Tikal, this is a worthy visit as you may be the only people there, offering a very different experience from that of wading through crowds of tourists at other similar sites. 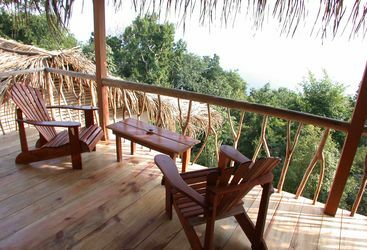 One of Yaxha's greatest attractions is its stunning location on a limestone ridge overlooking the tranquil Yaxha Lagoon. The area teems with wildlife and in particular howler monkeys and toucans, which all adds to a special atmosphere. Although comparatively little is known about this site, its size suggests that it was certainly an important force in the central Mayan region during the Classic period. Yaxha is the third largest such site in Guatemala after Tikal and El Mirador. Kate B is our 'Yaxha' expert and as a seasoned traveller has the inside track on the most memorable adventures.